The travel bug has caught everyone these days, and almost every millennial is opting for homes on the wheel as they figure their next destination. If you love traveling, you will want to document every moment, not only as a way of preserving those memories but also as a way of earning some money for the next adventure. Just the same way you want a credible accident injury lawyer if anything happened to you on the road, you want reliable gear to make your travel as comfy as possible. Don’t leave these items when you make your maiden trip. Let’s talk phone, laptop, and camera. Nikon and Canon are the most popular DSLR cameras for those who want to capture professional photos for their blogs, but they are a bit pricey. If you cannot afford one yet, bring along a phone. iPhones and Samsung are two of the leading brands with the best resolution, and they will take near perfect photos that you can still use professionally. As for a laptop, you want a smaller device with large memory and the capacity to handle all your posts and photos. It’ll be even better if it can hack video editing and the battery lasts at least 8 hours. You do not want to find yourself sharing a dorm with noisy mates, and you cannot sleep a wink because they will not stop snoring or talking amongst themselves. For the eye mask, you never know whom you share your room with (again). They may prefer to have the lights on all for the better part of the night and you being the peace maker, would want to meet them halfway. Water is life, and you might just be in a place where you cannot buy bottled water. Instead of endangering your health (particularly when you are confident if the taped water’s state), you would be safer bringing a filter along. Medication is not necessarily of the prescribed nature, but your preferred painkillers. You want to enjoy your holiday fully even when a splitting headache is threatening to shorten it. Chargers, a separate set of batteries for your laptop and camera, as well as a USB cable, are only a few of the essential mobile accessories. You also want to carry a power backup just in case your phone’s battery died before you got back to the hotel. A good book or 5 will kill boredom at the airport if you are an avid reader. These days we have Kindle, so you don’t have to carry a hard copy if it takes too much space. 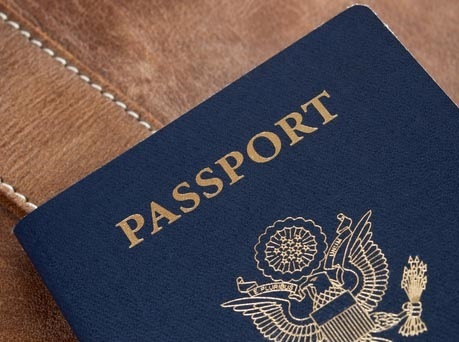 If you are touring another country, your identifier is the passport. To that end losing it would be detrimental to your stay in that country. You should also carry a color copy of the pages that have your photo and the one with your information. If you lose your passport (and we hope you don’t), the copies are going to make it easier to get a replacement. The list is not exhaustive. You will need lots of other things, but the above are non-negotiable. Have fun on the road!